The Alcott Law Group is a full service law firm based in New York and White Plains with a unique specialization in not for profit law. They service all types of nonprofit institutions and organizations, with a special focus on education, churches and other religious entities, and social entrepreneurship — i.e., startups that seek to make a positive impact on the world. 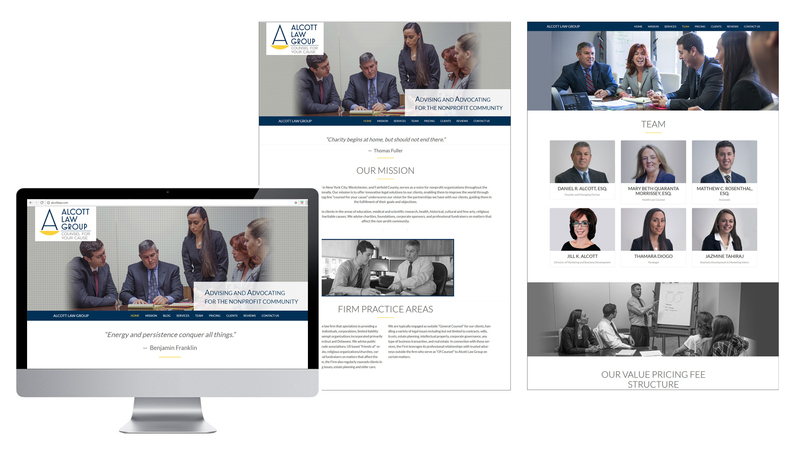 We worked with The Alcott Law Group on several fronts including taking portrait and action photographs of the team and offices, enhancing their website with new features, adding a blog, and working on a long-term content strategy. 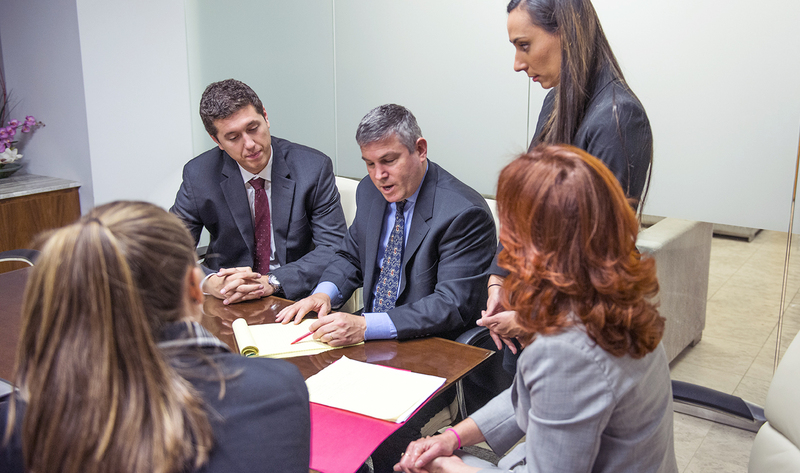 We added candid office photographs of the attorneys and entire team throughout the site, emphasizing the firm’s teamwork and unity, and personalizing a site which was in previously text-heavy. 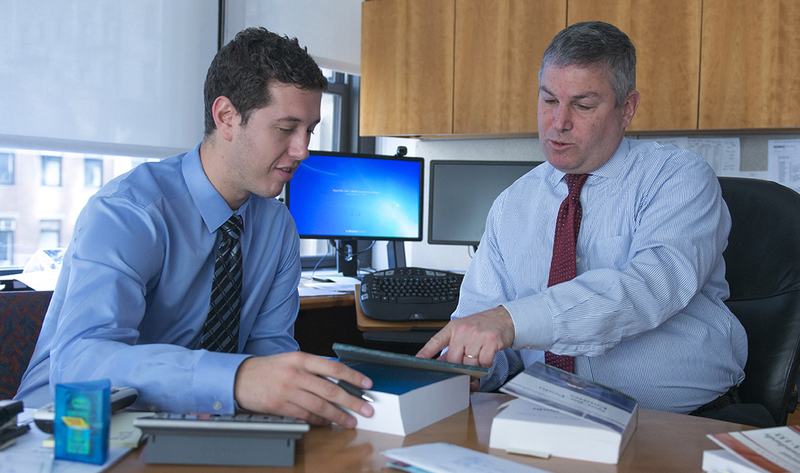 An addition of a blog — with 3 chosen posts for the Homepage — will be an important tool to showcase the firm’s expertise. We also added a rotator with inspiring quotes (changing on page reload), and a testimonials slider. Finally, we coded in individual bio pages (lacking on the client’s initial site) to provide vital information to prospective clients. 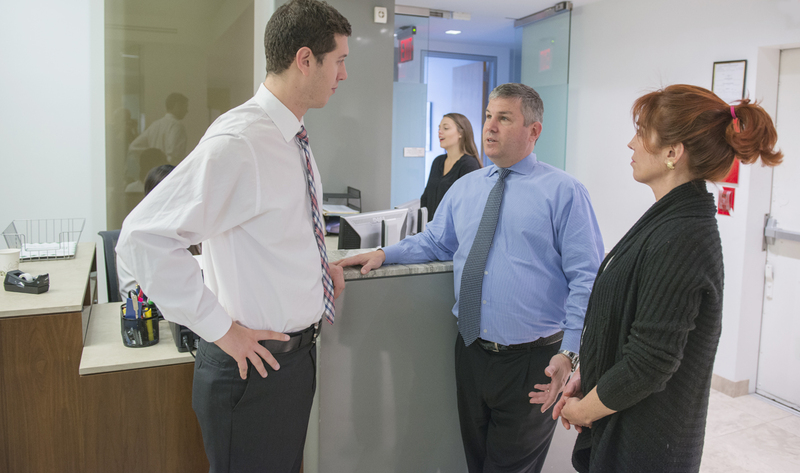 Our photography services included: (1) individual portrait shots of 6 team members; (2) a series of office “action” shots of the team working and conferring together; and (3) shots of the attorneys and paralegal individually working at their offices. 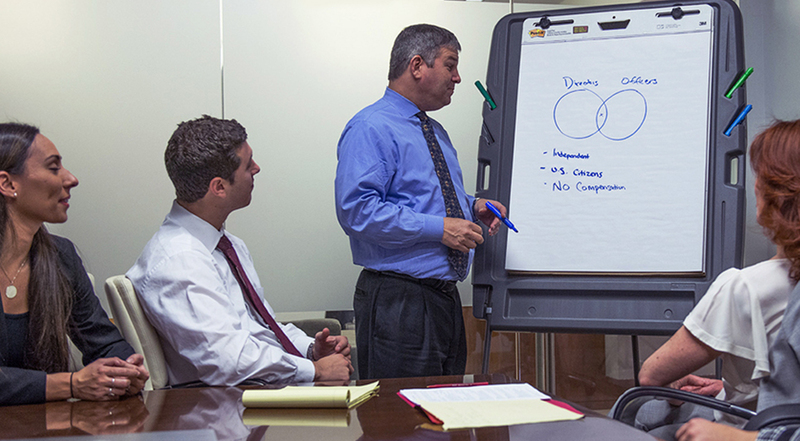 The photos of conferences and meetings were especially important in showcasing the close-knit and cohesive nature of the Alcott Law Group, values practiced when giving personal attention to their clients. The photos also complemented the site’s legal and descriptive text, creating a much warmer tone for the firm’s entire presence.